Appointments are self-served booking online. There will be limited phone support. Please refer to the Professional Staff section for individual therapist's clinical hours. We regret that we are not able to serve Walk-in. To book an appointment, please click on the "Book Now" button below. Please note we have intermittent phone support. 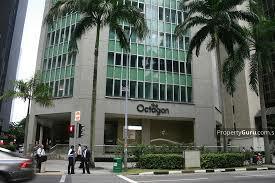 Inform taxi driver to drop off at "The Octagon on Cecil Street"
Take the lift to the 7th floor. During office hours (Mondays to Fridays 9am to 6pm, Saturdays 9am to 1pm): please proceed to reception area and inform them your name, the name of your therapist, and your appointment time. After office hours (Mondays to Fridays 6pm onwards, Saturdays 1pm onwards): please call the room (3157 7499) when you arrives to notify your therapist and wait in the waiting area (yellow sofas).